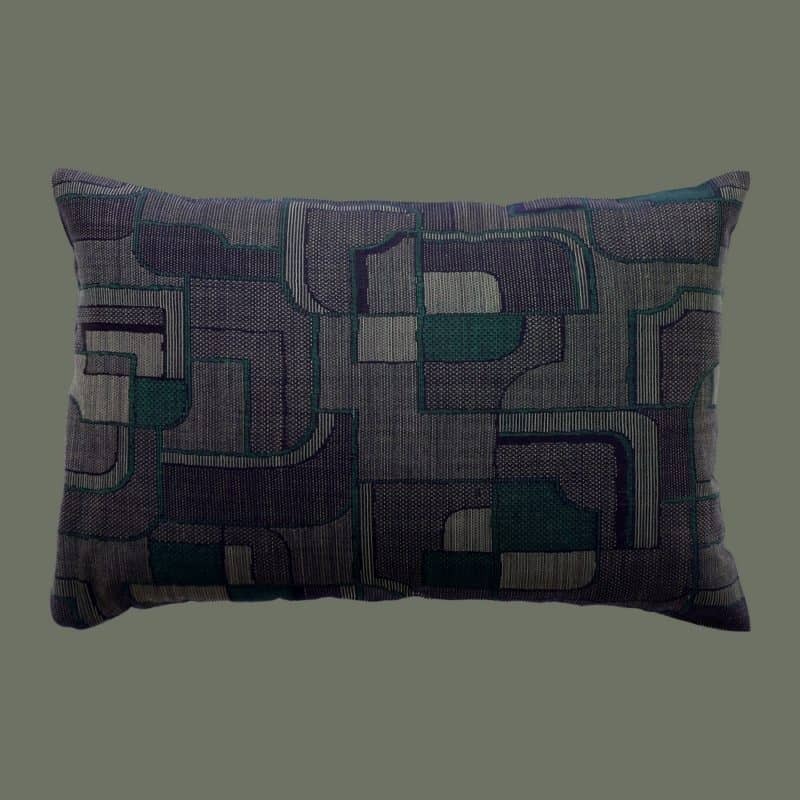 Made from a vintage Japanese kimono finely woven in silk and wool, these pillows have a modern pattern of overlapping shapes in a rich silver/gray and black accented with dark green. The effect is graphic, but richly elegant. Dry clean only. 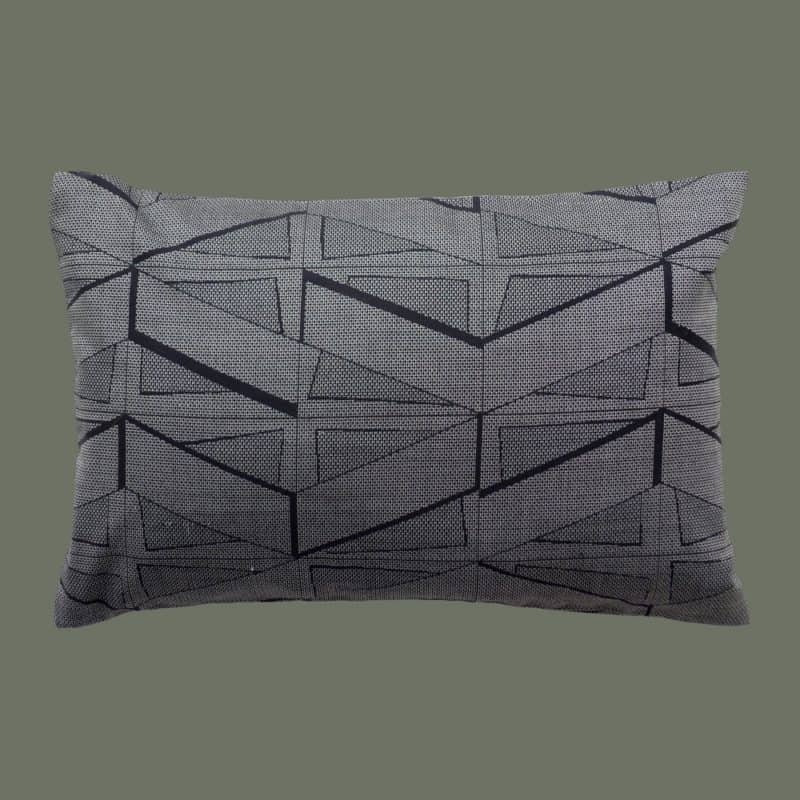 Made from a vintage Japanese kimono finely woven in silk and wool, these pillows have a modern, geometric pattern in a rich silver/gray and black. The effect is graphic, but richly elegant. Dry clean only. 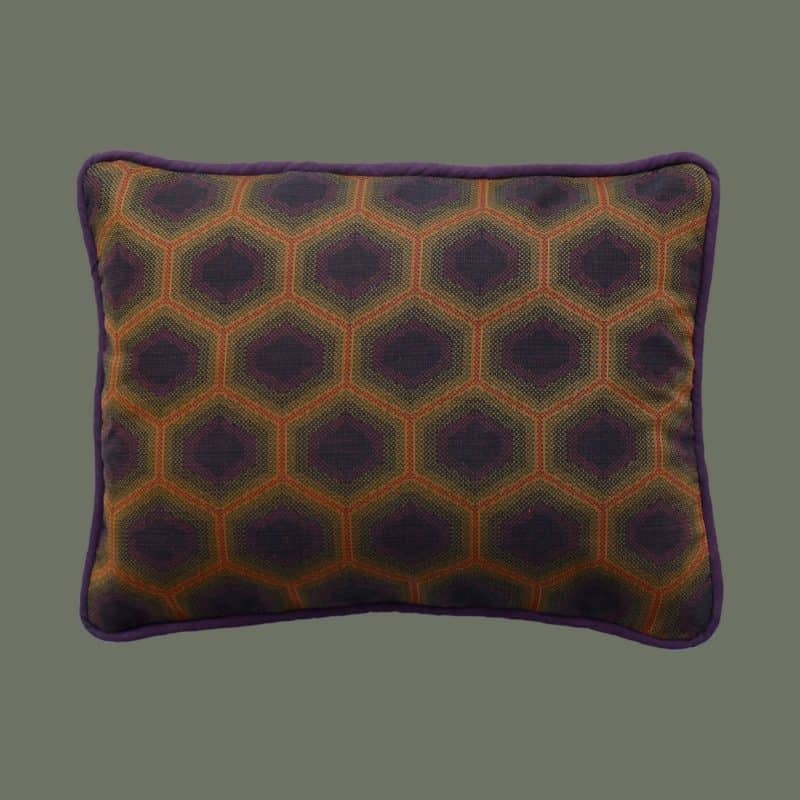 Exquisitely woven wool and silk from a vintage Japanese kimono form a rich, three-dimensional honeycomb pattern in dark pruple, golden yellow and light orange. The effect is subtle and rich. Dark purple imported linen is used for piping and for the back. Dry clean only. 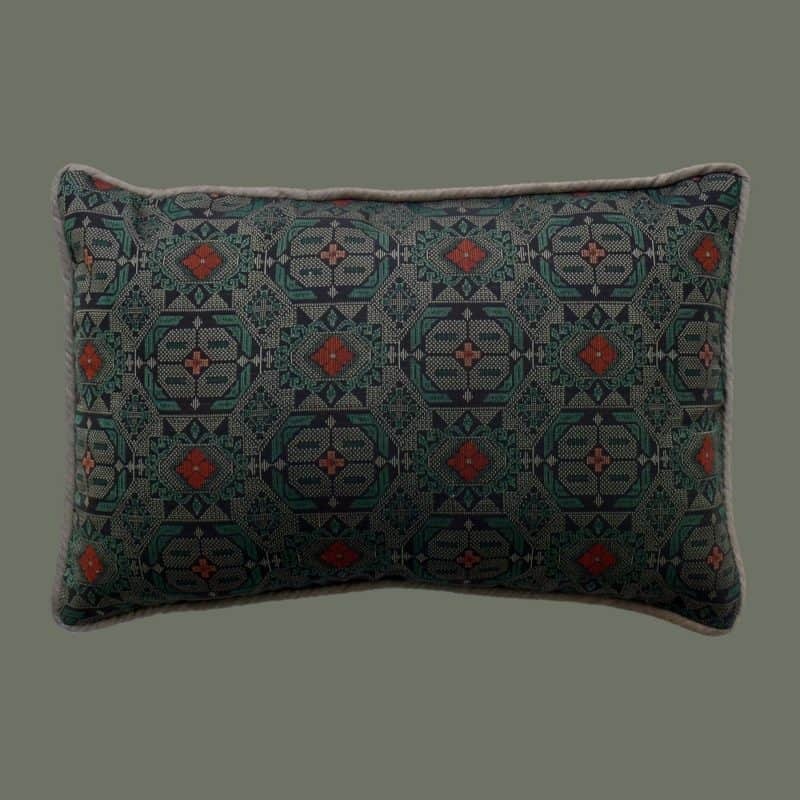 Finely woven dark green medallions in silk and wool from a vintage Japanese kimono form an especially rich pattern on these pillows. 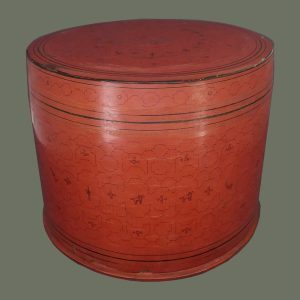 Bronze cotton piping provides a subtle accent. 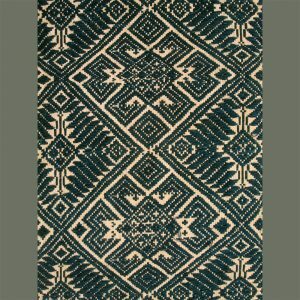 The same handwoven bronze cotton is used for the back. Dry clean only. 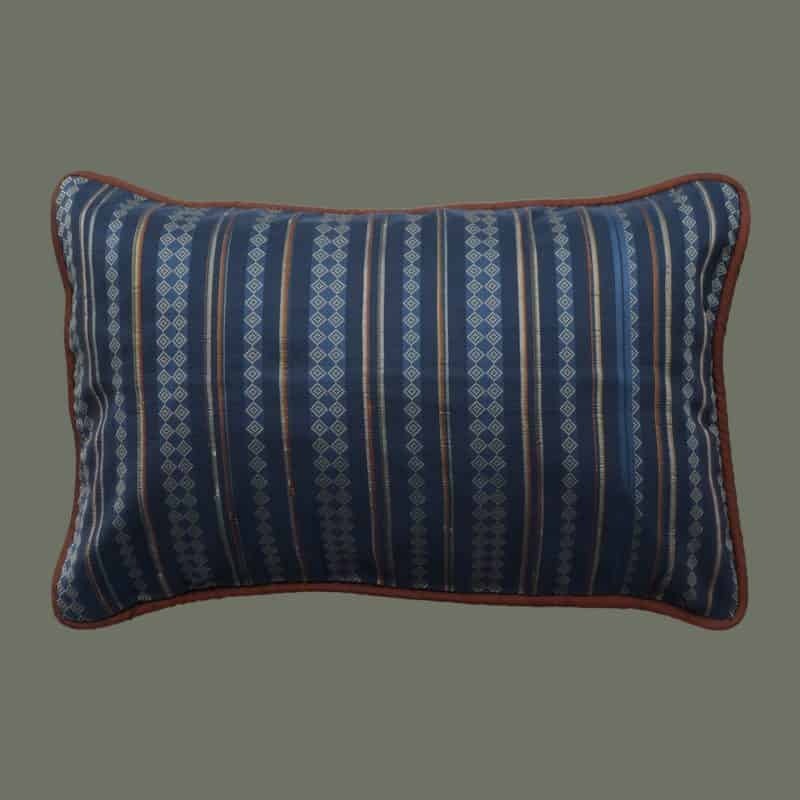 From a vintage Japanese silk obi, these pillows are richly patterned with subtle stripes of silver, orange, olive, gray and blue, plus running diamonds in beige. The effect is very elegant, yet casual. 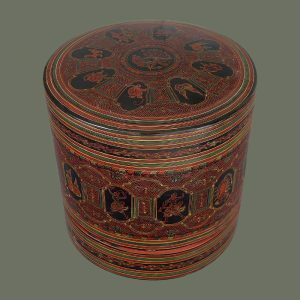 Complementary silk piping is in Thai silk:these two are accented with dark rust piping. The backs are vintage Japanese obi silk with a subtle stripe in the same color of dark blue. Dry clean only. Coordinates with FCH554c+d.